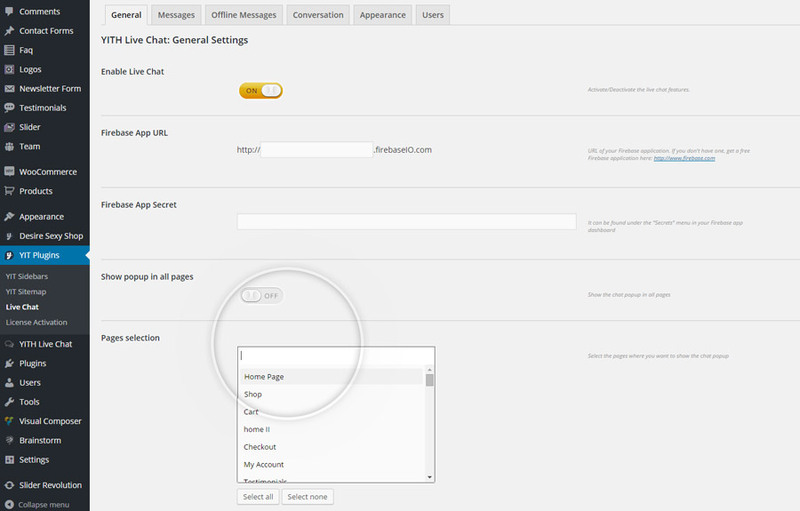 If you have entered the required data correctly and if you have enabled the chat plugin in YIT Plugins -> Live Chat, the chat window will be automatically enabled on every page of the site. In case you wished to show the popup only in some specific pages, you can select them using the specific entry available in the plugin option panel. To show the chat pop-up correctly, the theme installed on your site needs to use the function “wp_footer()” in its templates.